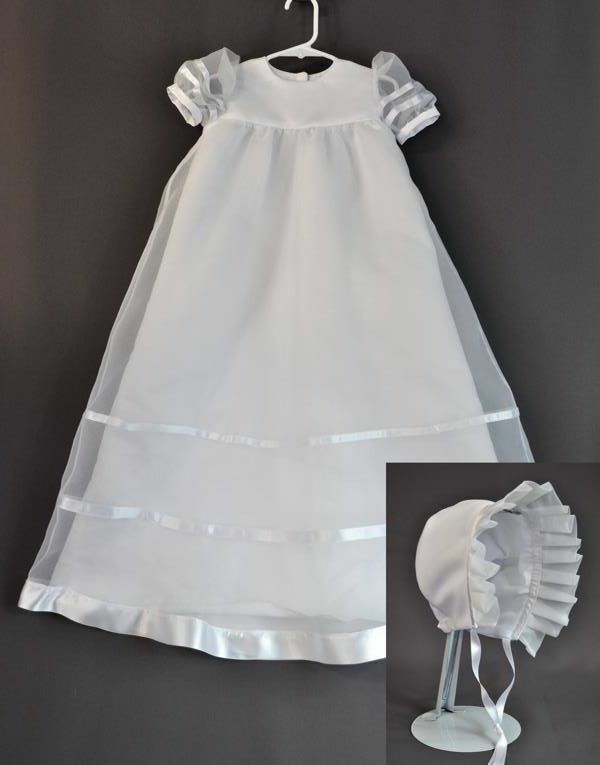 Joyce Harder sent us her daughter’s wedding dress to have this gown and bonnet made for her granddaughter. Joyce knew what she wanted us to do with the materials. When someone has something specific in mind, we do all that we can to meet their expectations.